NOAA’s suite of electronic navigational charts (NOAA ENC®) are not affected by these changes. Mariners are encouraged to use NOAA ENCs for critical safety information as these products are typically updated up to one month ahead of raster products. The USACE makes the depth information from recent surveys publicly available on their website before NOAA nautical products are updated and published. NOAA prioritizes making updates to ENC over RNC products. This often results in RNC products not accurately reflecting the most current controlling depth values (as represented on NOAA ENC and the USACE website). To eliminate inconsistencies among controlling depths, NOAA will only show project depths on raster chart products in the future. The Initial implementation of this change will focus on deep draft shipping channels where the primary product used for navigation is the ENC. NOAA first publicized the concept of charting project depths in the National Charting Plan released in February 2017. 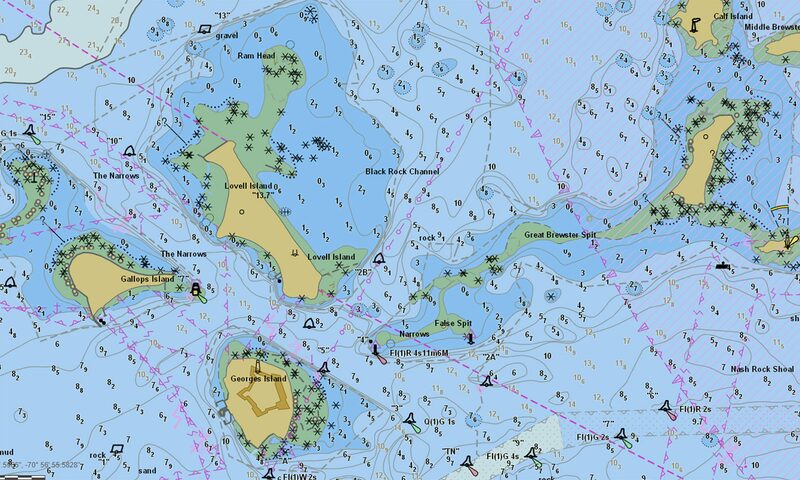 As the changes are made on individual charts, NOAA will include a note on each chart directing mariners to review the USACE website and use NOAA ENC to access the latest controlling depths. Additionally, a statement drafted jointly by Coast Survey and the U.S. Coast Guard (shown below) is being published weekly in the Coast Guard’s Local Notice to Mariners. depths will still be provided on ENCs. Federally maintained channels are broken into a series of individually named sections called “reaches.” There are two different depths associated with each reach that are reported by the USACE, the project depth and the controlling depth. Project depths are the original design dredging depths of a channel reach constructed by the USACE. They may or may not be maintained by dredging after completion of the channel. In other words, the actual depth of the channel may be shoaler than the project depth (for example, Reach B in image below). Controlling depths, or minimum depths, are the least depths within the limits of a channel reach. These depths are updated with each new USACE survey. Minimum depths restrict the safe use of a channel to ships with drafts less than the minimum. Example of a federally maintained channel with a project depth of 30 feet. Reach A has a controlling depth of 32 feet and Reach B has a controlling depth of 28 feet.